Contrary to popular belief, the flu vaccines currently available in the U.S. don’t prevent against all strains of the flu—they typically only target a small group of influenza viruses that experts believe are most prevalent in flu season. However, a new study published in the journal Cell may be able to pave the way for a universal flu vaccine that’s able to target a broader range of influenza strains. Researchers found that chemically modifying certain parts of the antibodies may be able to enhance the efficacy of existing flu vaccines to provide better protection against infection. This study focused on the “Fc” region in antibodies, which is the part that bonds with immune cells. Healthy individuals received a seasonal flu vaccine that contained a strain of the swine flu (H1N1 virus). Researchers then used blood samples to track the participants’ immune system response. After about a week, they noticed the presence of more sialylated antibodies, which is an indication that participants’ immune systems were responding positively to the vaccine. Experiments on mice have shown that sialylated Fc regions trigger the production of antibodies with the highest affinity. Using this information, researchers added sialylated antibodies to the H1N1 vaccine and tested it on mice. They found that the sialylated immunizations offered better protection against different strains in the H1 category—where H1N1 comes from— instead of only one. Further research is needed to see how these findings can be used to improve existing vaccines, ideally resulting in a universal vaccine with the ability to provide lifelong protection against various flu infections. According to the Centers for Disease Control and Prevention (CDC), the flu vaccine this season was only effective 23% of the time across all age groups. 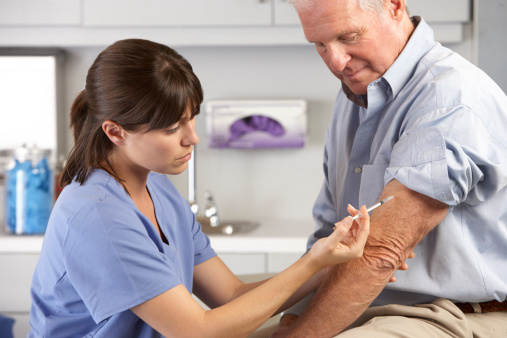 McIntosh, J., “New discovery ‘could lead toward universal flu vaccine,’” Medical News Today web site, July 6, 2015; http://www.medicalnewstoday.com/articles/296323.php.